E-cigarette boss Jacob Fuller says the industry's biggest mistake was naming the product 'e-cigarettes'. 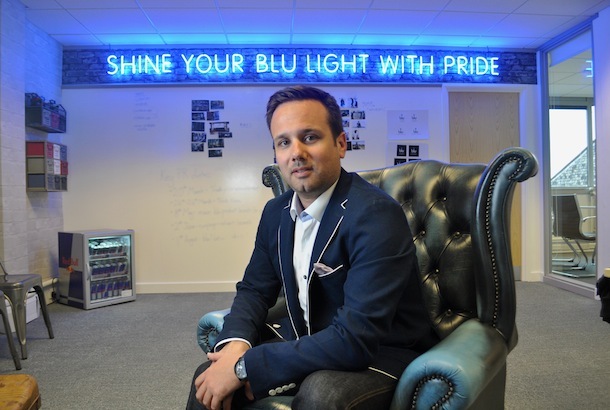 In October last year Jacob Fuller sold Skycig, the e-cigarette company he helped found just three years ago, to US tobacco giant Lorillard in a deal that could be worth up to £60m, and there was no PR agency involved. No City firm was hired to help hype the company in the media; there was no attempt to tickle the interest of prospective suitors worldwide or even to puff the product to consumers. "In the past year we received five approaches from prospective buyers so we really didn’t need any help," says Fuller. "And PR didn’t play much of a role in the growth of Skycig. We didn’t want to amplify what we were doing because we wanted to hide from the competition." But that does not mean that PR hasn’t a place in Fuller’s strategy now that Skycig has been rebadged under Lorillard’s Blu e-cig brand. In fact it is absolutely central to his plans to grab as large a slice as possible of that UK market. It is the ability of PR and marketing to grow his bottom line that makes it his biggest business priority, he says: "In truth I focus on PR more than I focus on the financials. Although finance is obviously very important, I see my CFO maybe once or twice a week. But I see my head of PR every day." Fuller, whose background is in internet marketing, started Skycig after he spotted an early model of an e-cigarette at a trade show in Las Vegas. The e-cigarette market was already doing well in the US and so he came over to the UK, where the market was comparatively new, and established Skycig, initially as an online venture. The company is just about to embark on the biggest and most ambitious marketing campaign the industry has seen to date. It includes a £20m advertising campaign and significant PR support from W.
The twofold aim, says Fuller, is no less than taking ownership of the entire category while repositioning it as a "lifestyle choice" (rather than as an alternative method of giving up smoking). "Our biggest mistake was to call it an e-cigarette in the first place," he says ruefully. It brought all sorts of negative connotations and associations that he sees as limiting the category’s potential for growth. Instead the new PR campaign will position e-cigarettes as "a lifestyle choice for smokers". "Like Starbucks is to coffee, we want to be that to the electronic cigarettes category," he says. But boy is he strict about running his PR campaign. He tells of an A-list celebrity the firm hired to promote its product. "They were being a bit difficult and reticent, so we just got rid of them. I only want people who want to do it," he says. It is the health question that forms one of the other major focuses for his PR efforts. The debate over whether e-cigarettes are a gateway into or out of tobacco is key to the industry’s future. Proposed changes in legislation from 2016 are likely to see e-cigarettes classified as medicines and so brands will need to provide more information to support their claims if they wish to remain in the market. A recent report by Action on Smoking and Health (Ash) concluded that e-cigarettes are a gateway to giving up – Fuller is happy to promote it quite lavishly. And at the same time Blu e-cig is helping fund a study by the American Medical Journal employing 90 scientists to gain a better understanding of what is in Blu e–cigs. But that messaging will just sit quietly in the background, promises Fuller: "We will defend the category but we will not talk about it as a healthy alternative to tobacco."